Nowadays, every industry around the world seeks for cooling towers to maintain the quality of industrial supplies. Whether it is a chemical industry, steel plant, or an electricity producing plant, a cooling tower is crucial for all. 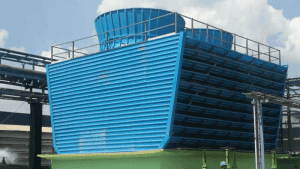 There are a lot of proven benefits of cooling water towers in any industry. One can look around for the preeminent cooling tower exporter around the nation to buy superior cooling systems. But, many factors need to be considered before appointing any company for this task. Let’s explore it all. The material is the first and foremost thing to consider in any cooling tower. A cooling tower will be placed in an open sky and it has to bear a variety of weathers. And for that reason, it becomes vital to choose the best material for any cooling system. There are numerous materials accessible in the market to make it sturdy. One can opt for the stainless steel or fiber plastic to provide a longer lifespan to the cooling system. A proficient cooling tower exporter will make you reach the most reliable material available in the market. So, choose the exporter wisely. Cooling load generally depends upon your requirement. One can opt for the manufacturer that offers better cooling load capacity at affordable prices. One can discuss the cooling load as per the necessity in the industry. Inspect the cooling tower and how much load it can handle in any environment. A premium exporter will provide the greatest cooling load capacity tower within your budget. 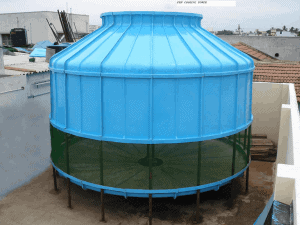 So, opt for the finest cooling tower and utilize it in the best way possible. You might know that an inexpensive cooling tower produces a lot of noise. One must inquire about the noise that a cooling tower produces from the manufacturers or exporters before the things get worse. Noise limitation and control is crucial if your industry is situated in any industrial area because this noise creates a lot of disturbance. A preeminent cooling tower produces less noise and can be placed anywhere in the industry. The sound usually comes from the big rotating fans in the cooling towers. So, make sure to choose the best material for fans and other parts or tools as well. Airflow is also the main factor to consider while constructing a cooling tower. The air in-out bays are to be constructed with fine material to reduce the future troubles. The cooling tower suppliers generally assemble two types of airflow systems- Cross Flow and Counter-cross Flow. In cross flow cooling towers, water flows with gravity distribution whereas in the counter-cross flow it flows diagonally across the water. One must choose the cooling tower as per the requirement and water flow inside the industry. For better convenience opt for the suitable airflow assortment and use the cooling tower in the best manner. 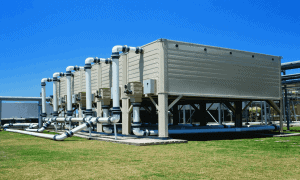 These are some factors to consider while purchasing a cooling tower. And, now that you know all of it, choose the proficient cooling tower exporter for the best in class business.